Free shipping to United States with $40 purchase from WhatACardCards. See item details below for sale terms. Praise your favorite new grad and make them feel worthless all with one card! See how we just saved you the expense of buying two cards? You’re welcome! 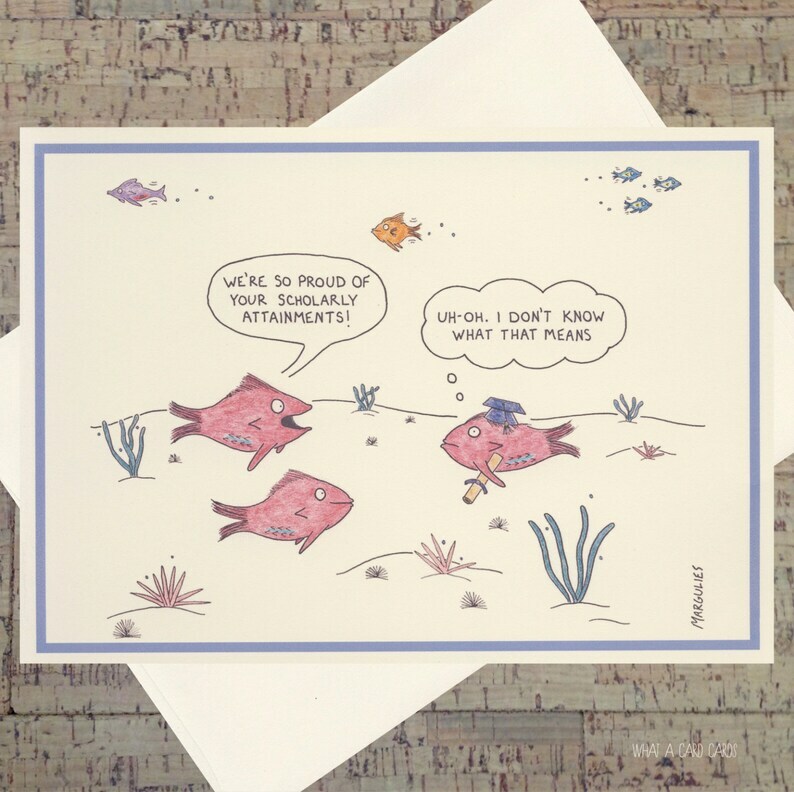 Show off your sophisticated sense of humor and great taste with this handcrafted card, beautifully printed on high quality, distinctive cream stock and accompanied by a matching envelope. All cards are created, printed, and packaged in-house. Shipping Note: All items are shipped via USPS First Class Package Service or USPS First Class Mail International and include delivery confirmation where available. A shipping upgrade is available (for domestic delivery only) via USPS Priority Mail Service. Free domestic shipping on orders of $40 or more! Order shipped via USPS First Class Package Service.